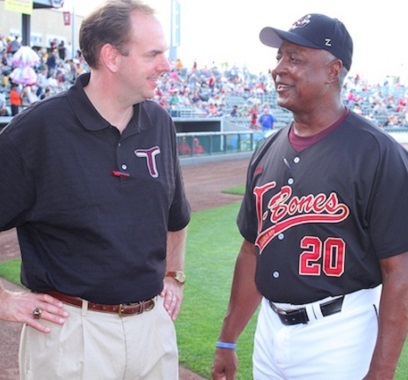 Here's our annual list of things for which the T-Bones front office is thankful. 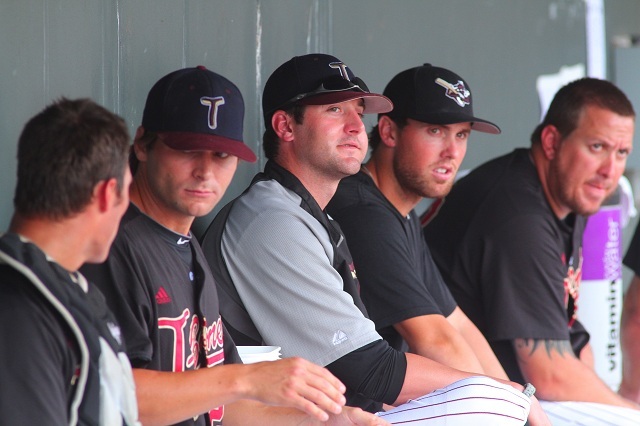 The T-Bones have traded for three pitchers in the first transactions of the John Massarelli era. Mini-plan packages on sale now! Mini-plan and custom mini-plan ticket packages are available, starting today! Here's your chance to get a jump on 2014 tickets. The following is a letter from T-Bones president Adam Ehlert regarding the sale of CommunityAmerica Ballpark. 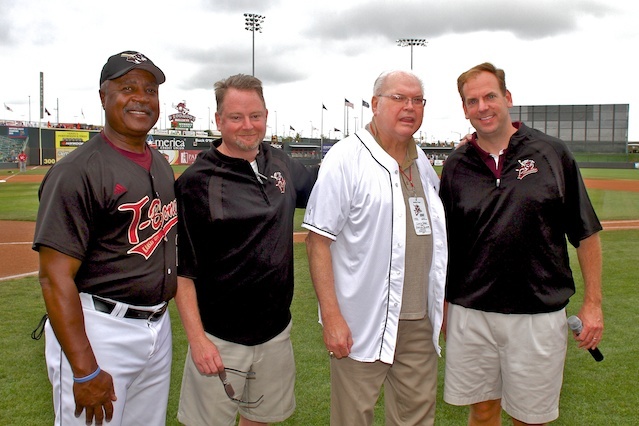 The Unified Government and the Kansas City T-Bones announced Monday that the UG is purchasing CommunityAmerica Ballpark. 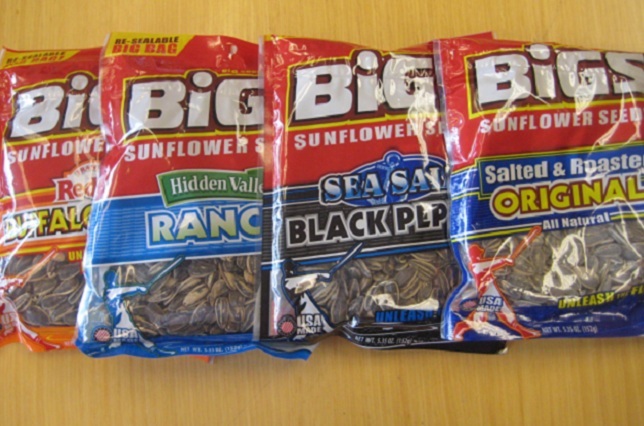 This week, general managers from the American Association and the Can-Am League have held their winter meetings in KC. 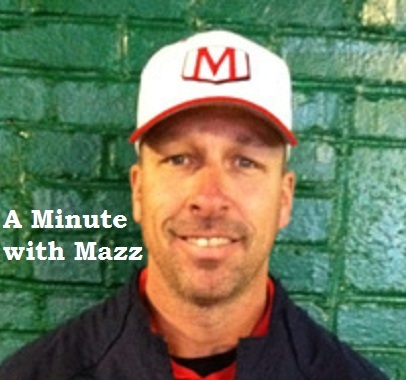 Wondering a little more about John Massarelli, the T-Bones' new manager? Here is a short Q&A with the new skipper. 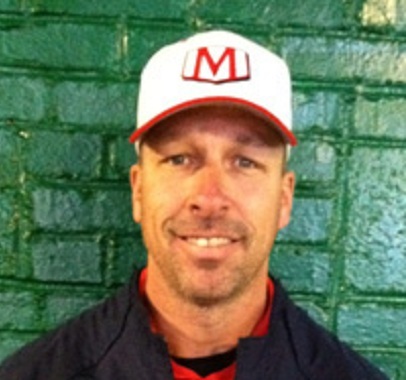 The Kansas City T-Bones have announced that John Massarelli has been hired as the club’s new manager. 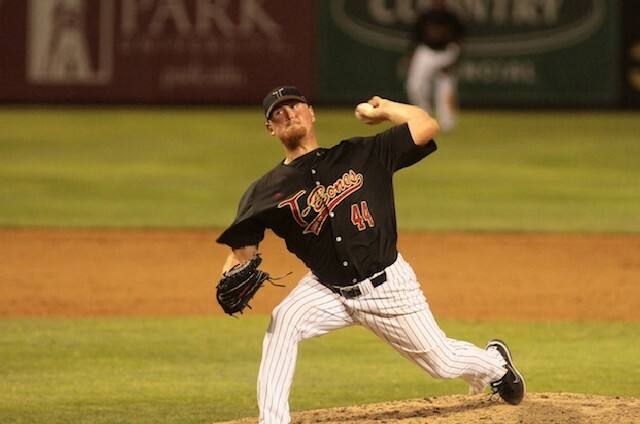 The Kansas City T-Bones announce that the Arizona Diamondbacks have purchased the contract of right-handed pitcher Dustin Loggins. 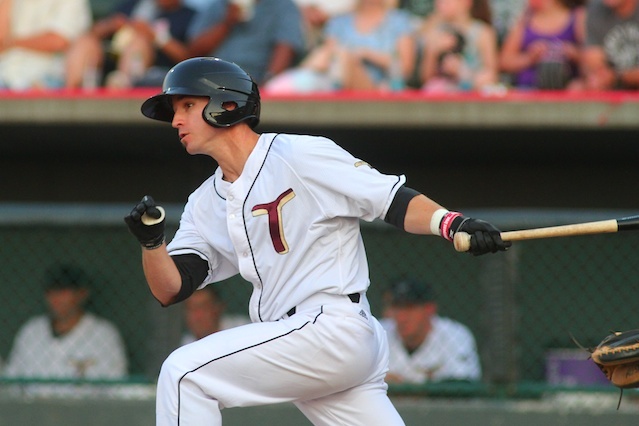 The T-Bones have re-acquired the rights to infielder Matt Padgett and pitcher Lucas Irvine, plus two more players in trade. This edition of "Chat with Matt" features Royals Hall of Fame pitcher Bret Saberhagen, who was our guest for "80's Theme Night." 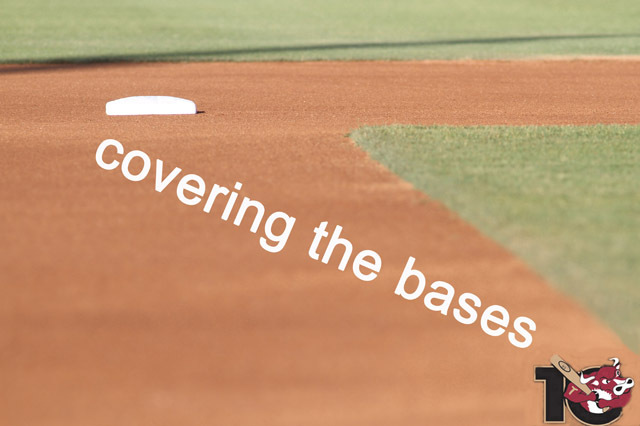 In this version of "Covering the Bases," pitcher Dustin Loggins offers his three keys to preparing for a start. In their season finale, the T-Bones scored two runs in the eighth but they couldn’t avoid the sweep against Wichita. The T-Bones, leading late in the eighth inning, couldn't hold Wichita down, and dropped a 4-3 decision Sunday afternoon. Jake Kahaulelio knocked in four runs for Wichita and scored another as the Wingnuts beat the T-Bones, 5-3. For a third straight night after falling behind, the T-Bones fell short to Gary SouthShore, 5-2, Friday night. 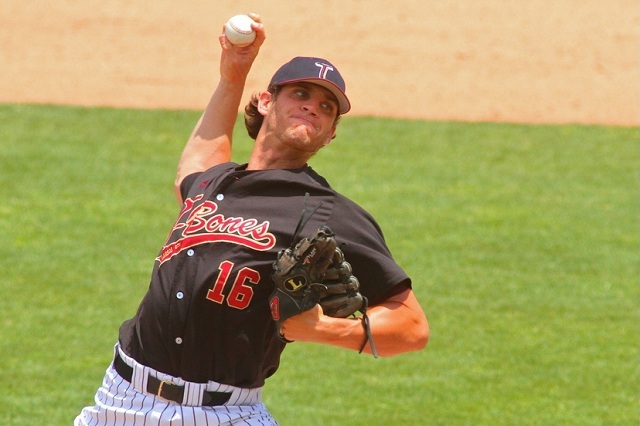 The T-Bones announced Friday that they traded pitcher Shaun Garceau to Long Island of the Atlantic League. Trailing since the first, the T-Bones rallied in the bottom of the ninth, but couldn't get past Gary on Thursday night. The T-Bones spotted Gary SouthShore six runs in the first inning and couldn’t overcome the deficit Wednesday night. In a game of missed chances, Justin Bass hopped on the opportunity with a walk-off homer in the 11th Tuesday night. The T-Bones feature promotions for fans of all ages as they begin their final home stand of 2013 tonight. 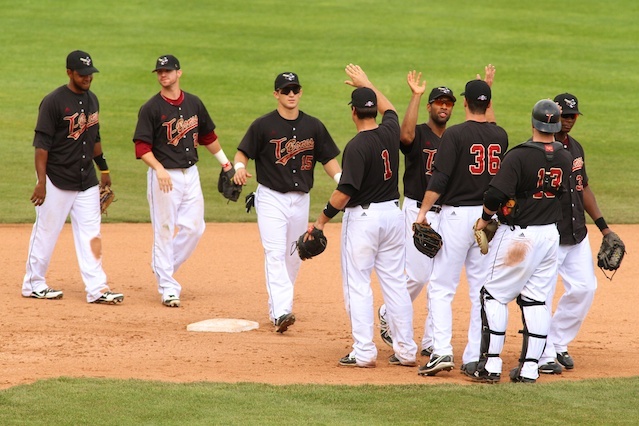 The T-Bones pounded a dozen hits and got a three-hit outing from starter Dustin Loggins in a win over Fargo on Sunday. Brandon Jones tied a club record in home runs, helping lift Kansas City to a 10-3 win Saturday night. The T-Bones started strong, but Fargo finished stronger in a 5-4 opening series loss for the T-Bones on Friday night. Kansas Governor Sam Brownback enjoyed a night at CommunityAmerica Ballpark on Tuesday. Rick Zagone had another strong outing for Kansas City, but Rockland went on to win Wednesday night. 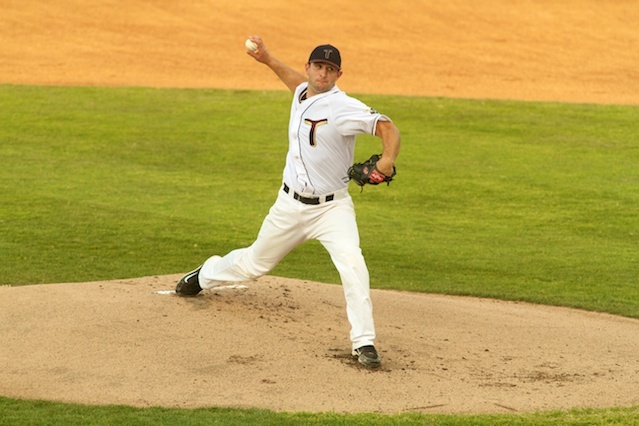 Congratulations to former T-Bones pitcher, Kris Johnson, who made his Major League debut last weekend. The T-Bones scored three runs in the seventh and held on to beat Rockland in interleague play Tuesday night. Five Kansas City errors resulted in five unearned runs as the Rockland Boulders beat the T-Bones on Monday. The Kansas City bullpen gave up three late runs as the T-Bones dropped the series finale against Winnipeg. Two clutch home runs from Luis Rivera sparked comeback for the T-Bones as they beat the Goldeyes 8-6. The T-Bones used a four-run fifth inning to secure a win against the Winnipeg Goldeyes on Friday night. Kansas City took the series from Lincoln behind a solid start from Dustin Loggins in an 8-1 win over the Saltdogs. Petey Paramore ended Tuesday’s contest with an extra dose of flair, clobbering a solo home run in the 10th. We catch up with Kyle Nichols on non-baseball topics, like his crippling fear of snakes and childhood obsession with Dale Murphy. 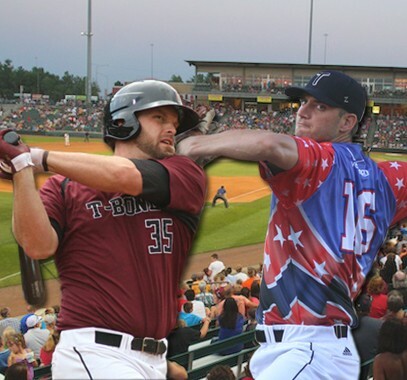 The T-Bones announced they have traded Matt Padgett and Lucas Irvine to New Jersey for four players to be named later. Kansas City’s offense was unable to overcome a tough pitching night against Lincoln on Monday night. 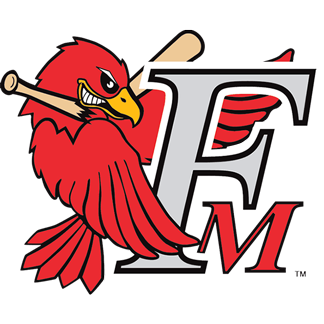 The T-Bones stranded another 10 in an eight-hit outing Sunday night as the Fargo-Moorhead RedHawks completed the sweep. Seven runs on 13 hits would be plenty for a win usually but it wasn't for the T-Bones on Saturday. Danny Jones of tbonesbaseball.com caught up wtih former T-Bones great Rick Prieto at CommunityAmerica Ballpark. Dustin Loggins gave the T-Bones 6 2/3 innings and a dozen strikeouts, but the RedHawks clawed their way to a 4-2 win Friday night. The T-Bones took the lead twice Wednesday night but the bullpen couldn’t hold on against Gary SouthShore. Solid starting pitching and timely hitting helped the T-Bones to a 4-1 over the RailCats on Wednesday night. Six runs for the RailCats on the Kansas City bullpen put a close game out of reach, with Gary victorious 10-2 in game one. 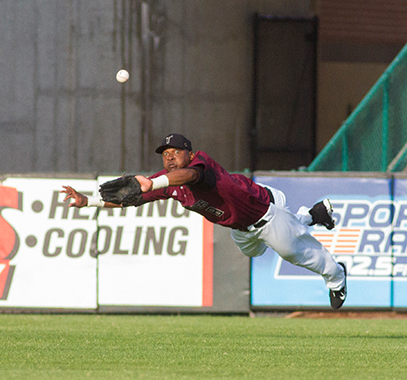 Four runs in the final four innings gave Sioux Falls a 6-3 win, preventing a T-Bones sweep. The Kansas City T-Bones took game two of three in Sioux Falls, leading wire-to-wire in an 11-4 rout of the Canaries. The T-Bones put together a superb team performance behind Ethan Cole and took the series opener from the Canaries 3-2 Friday night. Laredo scored 10 in the last three innings and cruised past the T-Bones in front of 7,007 at CommunityAmerica Ballpark. 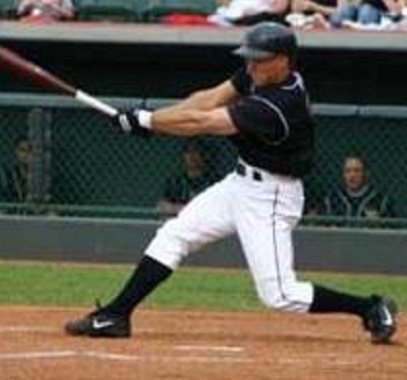 Kansas City slugger Matt Padgett has been selected as the league's hitter of the month for July. Shaun Garceau kept Laredo guessing, and the Kansas City offense took over in a 7-2 win Wednesday. Matt Padgett has been big for the T-Bones all season. Tuesday night was no exception. Matt Padgett's heroics helped the T-Bones salvage the doubleheader against Laredo on Tuesday night. 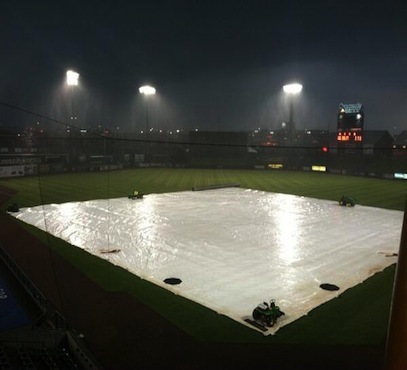 Kansas City and Laredo played two on Tuesday night. Laredo got the best of the T-Bones in game one. Living his life in the baseball grind inspired Kansas City outfielder Kennard Jones to do something a little different. 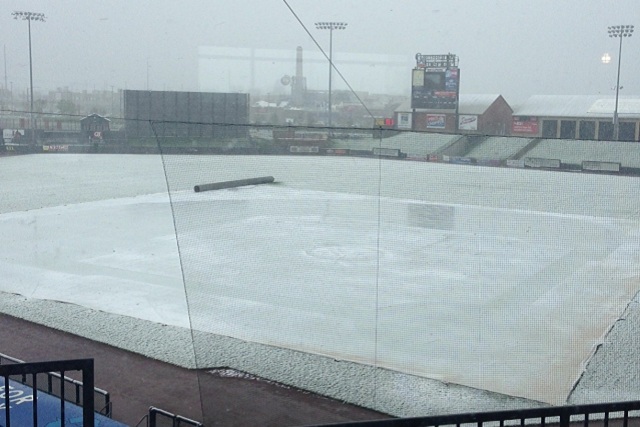 Due to inclement weather, Monday night’s game against Laredo at CommunityAmerica Ballpark has been postponed. 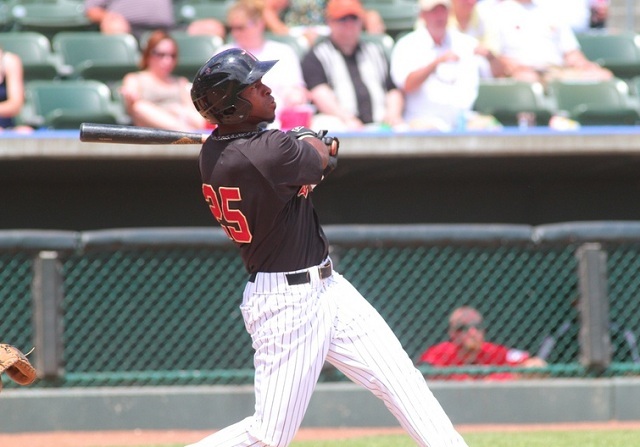 Reyes Dorado of the El Paso Diablos stymied the T-Bones bats on Sunday afternoon. A complete game from Kansas City T-Bones starter Lucas Irvine (5-4) extinguished the El Paso Diablos’ offense. Although they spotted El Paso two runs in the first, the T-Bones squelched scoring opportunities with three inning-ending double plays. 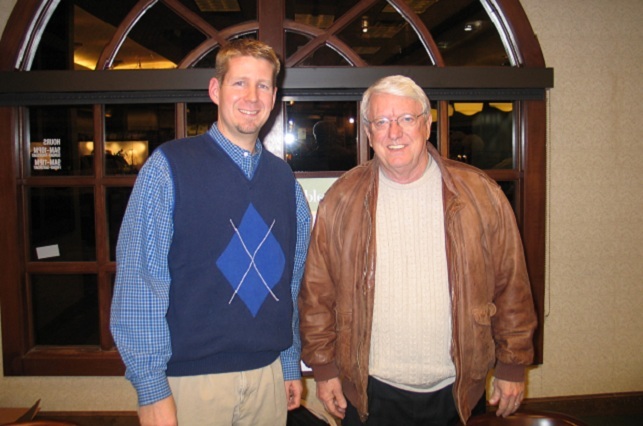 David Mickey Evans, the director and narrator of "The Sandlot," was at CommunityAmerica Ballpark on Friday night. He took a few minutes to talk with tbonesbaseball.com. 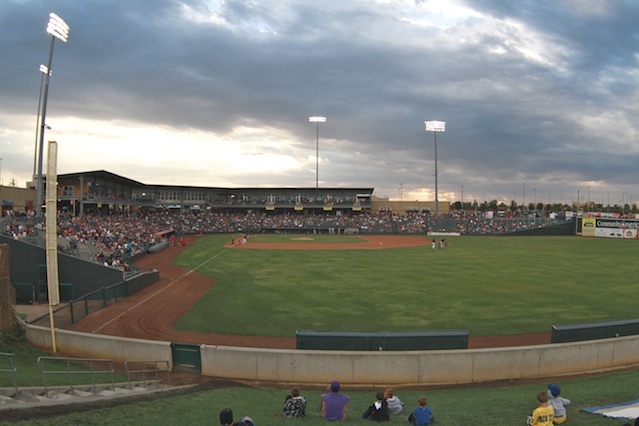 LAREDO, Texas – Unable to get on track Wednesday night, the Kansas City T-Bones suffered the largest shutout in team history, 21-0, to Laredo at Uni-Trade Stadium. LAREDO, Texas – Kansas City sent eight to the plate in the first inning and jumped out to a 3-0 lead en route to a 9-3 win over Laredo on Tuesday night. Laredo used a big inning to go on and beat Kansas City in the opener of the three-game series Monday night in Texas. The American Association has announced that T-Bones infielder Devin Goodwin is the league’s Pointstreak Hitter of the Week for July 15-21. 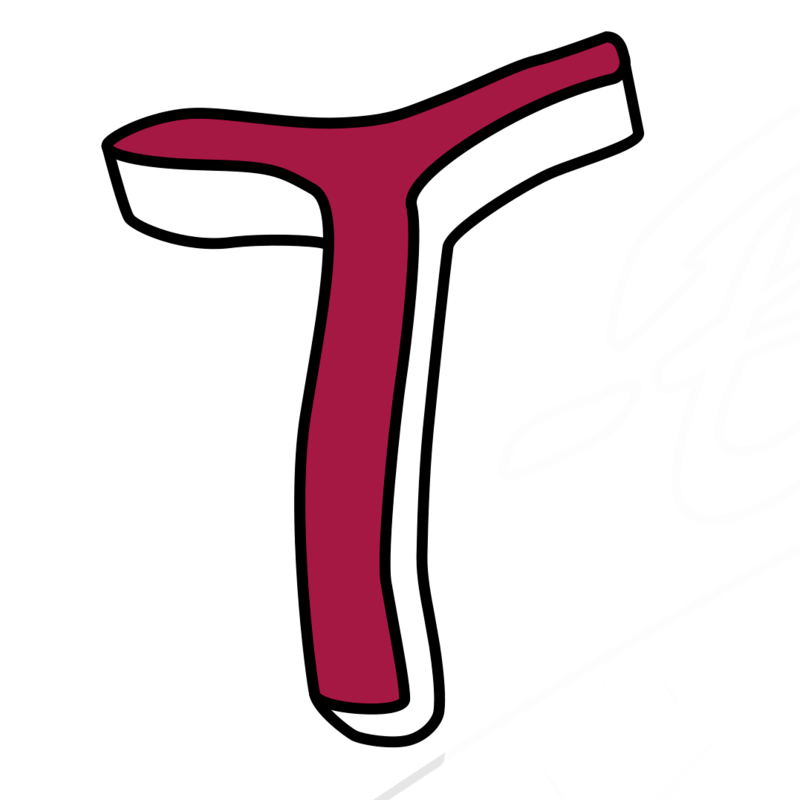 AMARILLO, Texas – The Kansas City T-Bones scored first and held on in extras for a 6-5 win on Sunday night and a series win over the Amarillo Sox. AMARILLO, Texas – For the second consecutive night, Kansas City couldn’t hold a lead of at least five runs, but the T-Bones rallied for three in the ninth en route to a 14-13 win. The T-Bones didn’t get the outs down the stretch and, as a result, blew a late five-run lead and saw their four-game winning streak come to an end in Amarillo. 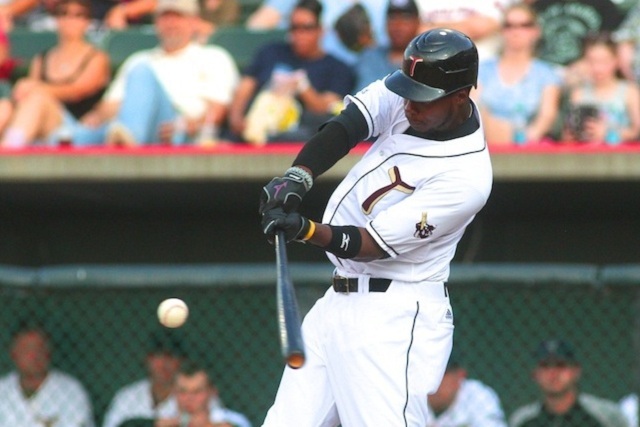 AMARILLO, Texas –The Kansas City T-Bones received timely hitting Thursday night in Amarillo as they won their fourth consecutive game with an 11-7 final over the Sox. Behind a solid outing by the T-Bones pitchers and the power of Matt Padgett at the plate, Kansas City completed its first sweep of the season. 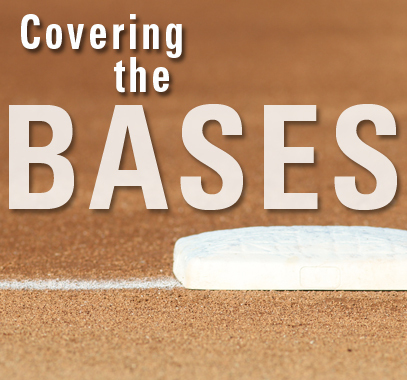 In this edition of "Covering the Bases," T-Bones basestealing leader Kennard Jones shares three keys to swiping bases. The T-Bones pounded four home runs and equaled their season-high in hits with 17 in a big win over Grand Prairie on Tuesday night at CommunityAmerica Ballpark. The T-Bones smacked 12 hits, including a grand slam by Kyle Nichols in the fifth inning, en route to a 9-3 drubbing of the Grand Prairie AirHogs. Dustin Loggins carried a no-hitter into the sixth inning, but a three-run inning by Wichita doomed Kansas City on Saturday night. 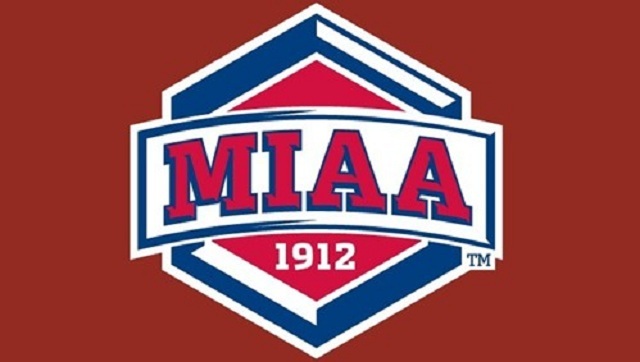 Missouri Mavericks coach Scott Hillman chats with Danny Jones about minor league sports in Kansas City, the Stanley Cup and Mavericks prospects for 2014. 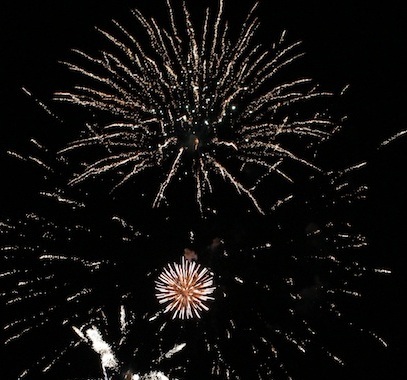 The Wichita Wingnuts clinched a series victory with a five-run fifth inning that propelled them to an 8-3 win over the Kansas City T-Bones in front of 7,304 at CommunityAmerica Ballpark on Friday night. T-Bones outfielder talks about his side business. Five Wingnuts pitchers held Kansas City scoreless in a 1-0 win on Thursday night at Lawrence Dumont Stadium. The Kansas City T-Bones led early Wednesday, but the Wingnuts erased the lead and went on to win, 10-4, their sixth straight. The T-Bones scored six runs in the fourth inning, which was all starter Shaun Garceau needed against the St. Paul Saints on Tuesday afternoon in Minnesota. Behind solid pitching by Dustin Loggins and four players who had a multi-hit game, the T-Bones snapped a three-game losing streak Monday night at St. Paul. The American Association has announced that T-Bones slugger Matt Padgett is the league’s Pointstreak Hitter of the Week for July 1-7. 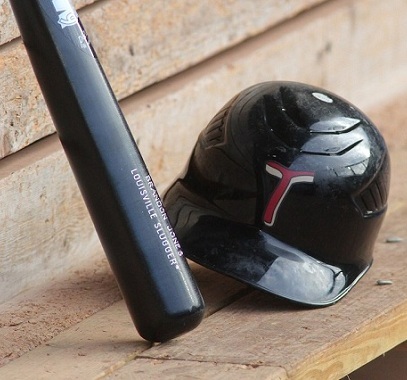 For the second straight game, the T-Bones tied the St. Paul Saints in the top of the ninth only to lose in the bottom of the inning, as the Saints won 9-8 Sunday. After trailing most of the game, the T-Bones tied Saturday night's contest at 5-5 in the top of the ninth, only to see the St. Paul Saints win it in the bottom of the ninth. 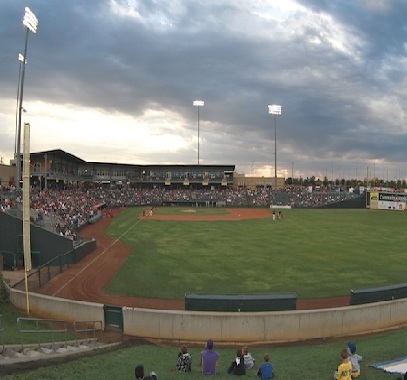 In a back-and-forth battle, the Canaries’ big ninth inning resulted in a 6-4 T-Bones loss at CommunityAmerica Ballpark on Friday night. 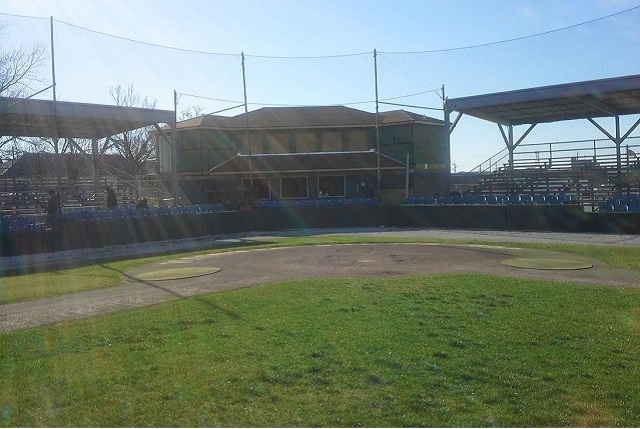 T-Bones manager Kenny Hook's childhood neighborhood is different today. 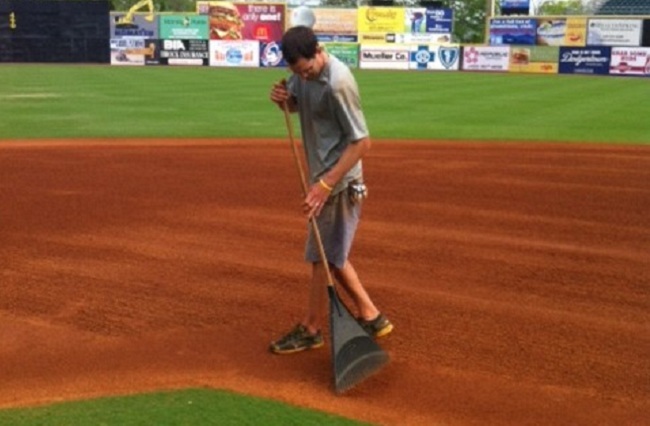 But it's easy to see how it helped shape him into who he is today, as Danny Jones found out for tbonesbaseball.com. 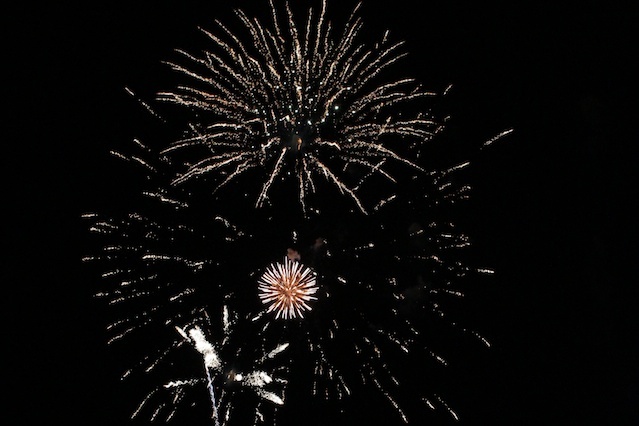 Newcomer Kyle Nichols helps lead T-Bones to win on Fourth of July. Five runs in the sixth and seven innings from the T-Bones cut down a sizeable Sioux Falls lead, but in the end the Canaries hung on for a 9-6 win. Sioux Falls, second in the American Association in home runs, hit their 51st and 52nd dingers of the season en route to a 7-1 victory over Kansas City on Tuesday night. Get Hits 4 Education announces its 3rd Annual Baseball All-Star Game will return to CommunityAmerica Ballpark on September 22, 2013, at 5:30 p.m. Following a 40-minute delay due to a power outage after the eighth inning, the T-Bones, behind the power of Matt Padgett, flew past Laredo in game one of the three game series. 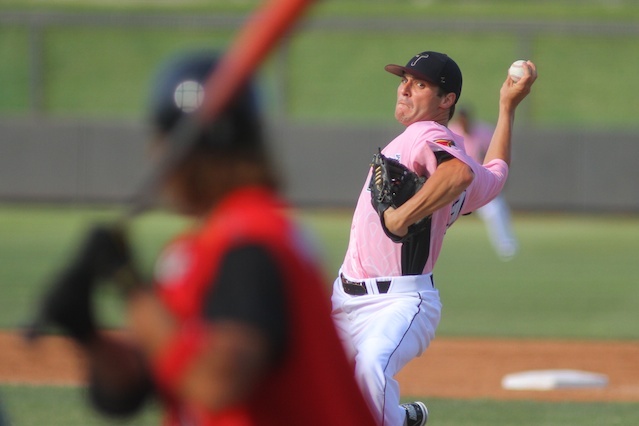 GRAND PRAIRIE, Texas – The Grand Prairie AirHogs fought back and went on to beat the T-Bones 5-4 in 10 innings in the series finale on Thursday afternoon. 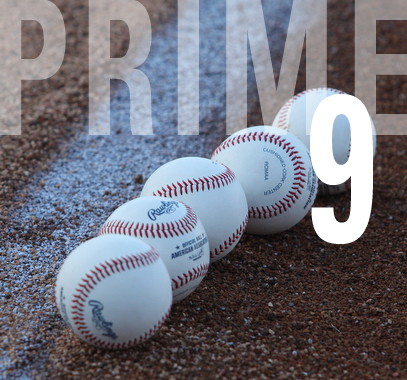 The Kansas City T-Bones pitched past Grand Prairie with a 9-8 win in 10 innings at QuickTrip Park on Wednesday afternoon. 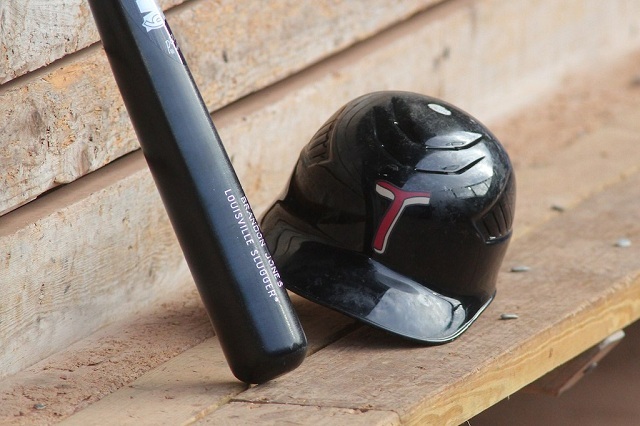 GRAND PRAIRIE, Texas – The T-Bones gave up three home runs, including two in the first inning, and dropped their first game of a six-game road trip, 7-5, against Grand Prairie. The Kansas City T-Bones took the lead, lost it, then claimed it again in the eighth, breaking a four-game losing streak in a wild 13-10 win over Gary SouthShore. 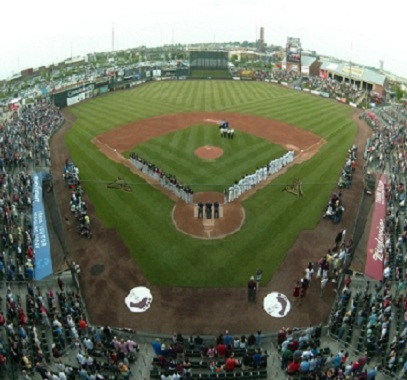 The RailCats scored four in the first as they went on to beat the T-Bones 8-1 in front of 6,369 at CommunityAmerica Ballpark on Saturday night. The T-Bones were undone Friday night on a Jose Jimenez balk in the eighth inning at CommunityAmerica Ballpark on Friday night. Chiefs' two-time Pro Bowl safety Eric Berry was at CommunityAmerica Ballpark on Wednesday night to throw out a first pitch and then sign autographs for a few innings. Of course, we shot a video interview with him. A three-run mammoth home run in the second inning from Stephen Douglas was enough for the Lincoln Saltdogs. 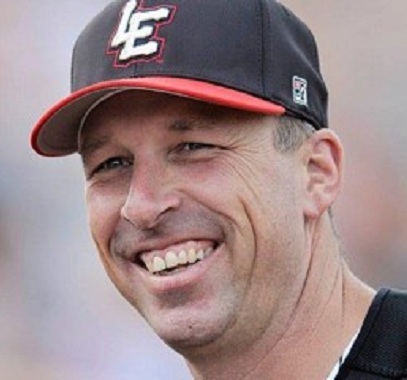 Lincoln Saltdogs manager and former Major League player Ken Oberkfell chats about some of playing memories, including George Brett's 3,000th home run, with Matt Fulks of tbonesbaseball.com. the T-Bones had two home runs in the ninth inning but it wasn’t enough as Kansas City lost to Lincoln, 5-4, on Tuesday at CommunityAmerica Ballpark. 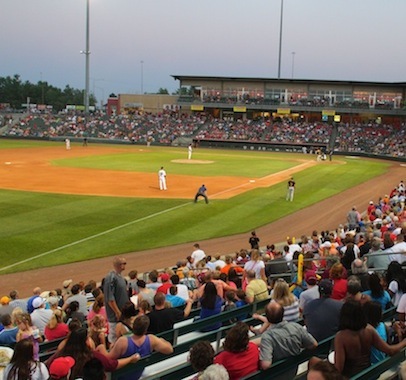 The Kansas City T-Bones scored nine runs in a record-breaking inning and went on to beat the Lincoln Saltdogs 14-10 on Monday night at CommunityAmerica Ballpark. 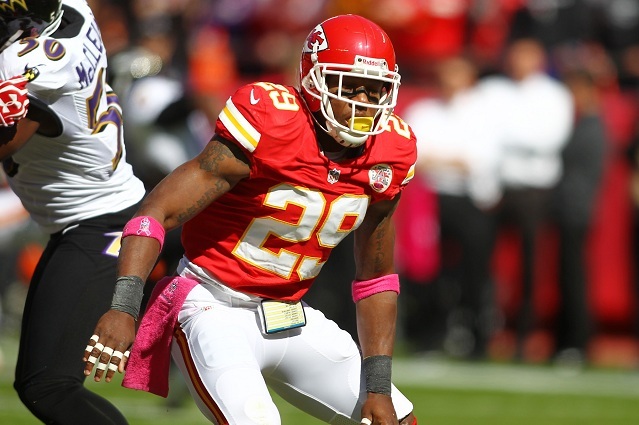 Eric Berry, two-time Pro Bowl safety for the Kansas City Chiefs, will be at CommunityAmerica Ballpark on Wednesday night, May 22, as the T-Bones take on the Lincoln Saltdogs. A day after a record opening night crowd, storms put the cap on a 3-2 Wichita Wingnuts win over the T-Bones in six innings on Sunday night at CommunityAmerica Ballpark. In spite of a first-inning home run by Matt Padgett, the T-Bones lost to Wichita on Saturday night in front of 8,014 at CommunityAmerica Ballpark. 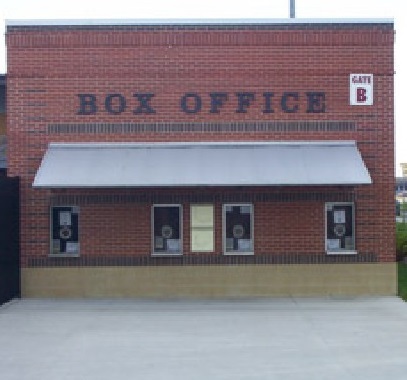 WICHITA, Kan. – The T-Bones wrapped up a quick two-game road series with a 5-4 win over the Wichita Wingnuts at Lawrence-Dumont Stadium on Friday night. The Wichita Wingnuts used two big innings and a strong pitching performance to beat the T-Bones 8-0 in the 2013 regular season opener at Lawrence Dumont Stadium. Fred White, legendary baseball broadcaster for the Royals, passed away Wednesday. 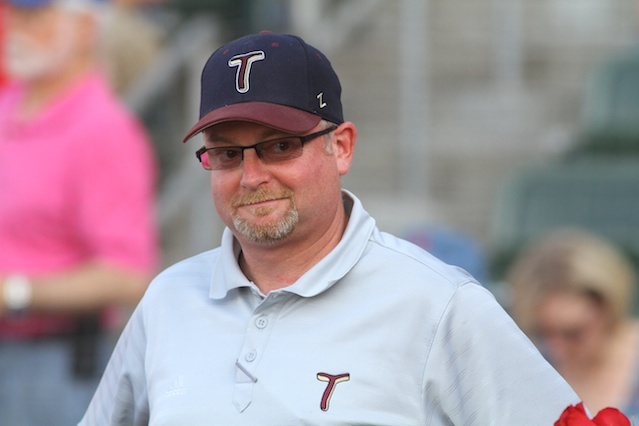 Matt Fulks, the T-Bones Director of Media Relations, has a few thoughts about White. The Kansas City T-Bones wrapped up exhibition play Tuesday night with a 10-5 loss to the Winnipeg Goldeyes at CommunityAmerica Ballpark. 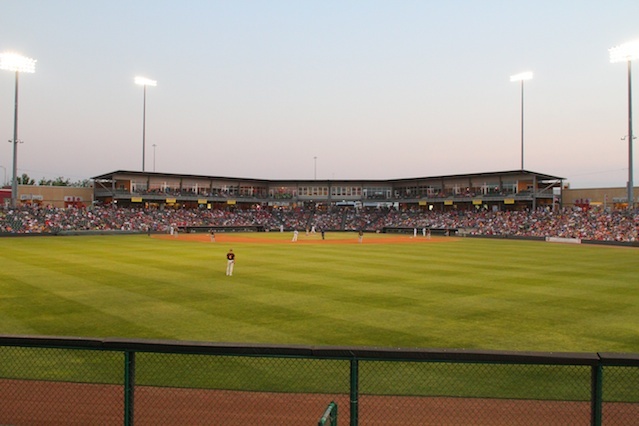 After four games on the road, the Kansas City T-Bones returned home and struggled in an 8-2 exhibition loss against the Fargo-Moorhead RedHawks at CommunityAmerica Ballpark. 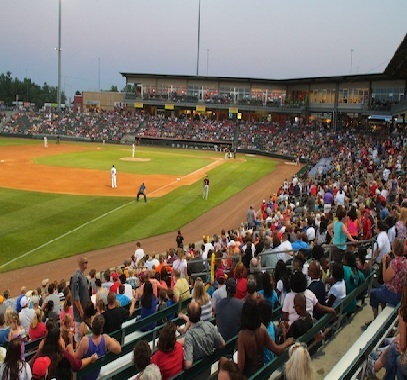 The Kansas City T-Bones are pleased to announce that the MIAA Baseball Championship returns to CommunityAmerica Ballpark beginning Thursday. 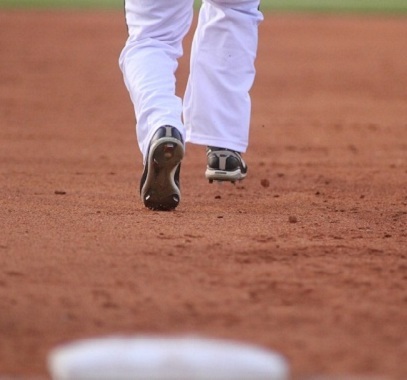 A night after pounding out 11 hits and six runs, the Kansas City T-Bones had half as many errors as hits on Tuesday night in a 5-3 exhibition loss. The Kansas City T-Bones faced their first live pitching of the season and beat the Lee's Summit Monarchs 6-0 in an exhibition game at CommunityAmerica Ballpark. 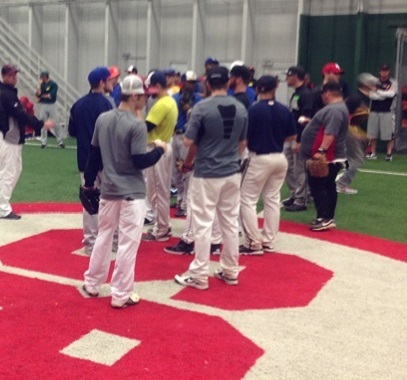 More than 50 players attended Friday's open tryout for the T-Bones. Did the club find any future players? Kenny's Korner: Spring Training is here! 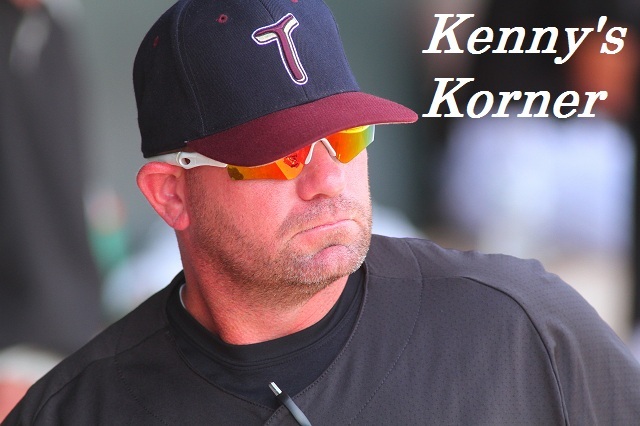 With Spring Training here, T-Bones manager Kenny Hook talks about early expectations in this installment of "Kenny's Korner." In spite of the wintry weather, the Kansas City T-Bones will hold their annual open tryouts on Friday, May 3, as scheduled. Kenny's Korner: Do you have desire or are you a pretender? We’ve been here about two weeks now – playing games a little less than that – and we’re seeing how guys work, on and off the field. 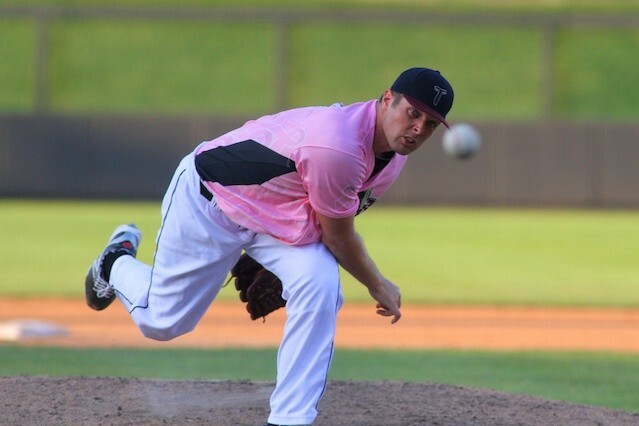 The T-Bones have announced the re-signing of starting pitcher Shaun Garceau. 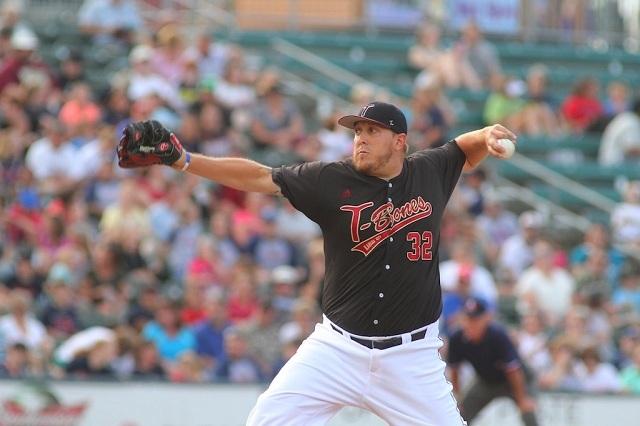 The Kansas City T-Bones have announced the re-signing of pitcher Dustin Loggins and the acquisition of pitcher Albert Ayala. As you might’ve read on tbonesbaseball.com last week, I’ve now been in California for almost a week. What an experience already! 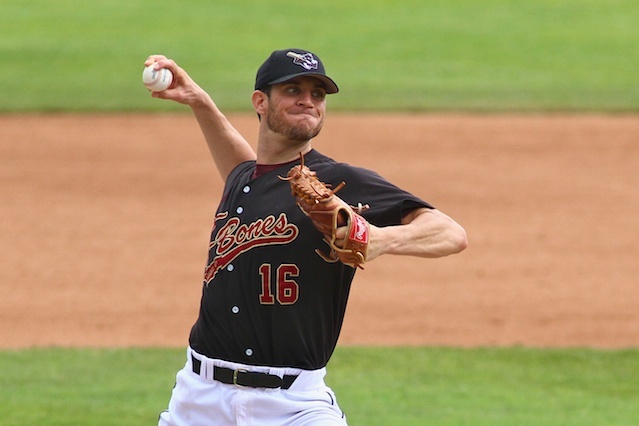 The Kansas City T-Bones have announced the re-signing of Steve Kent, culminating a big week for the pitcher. 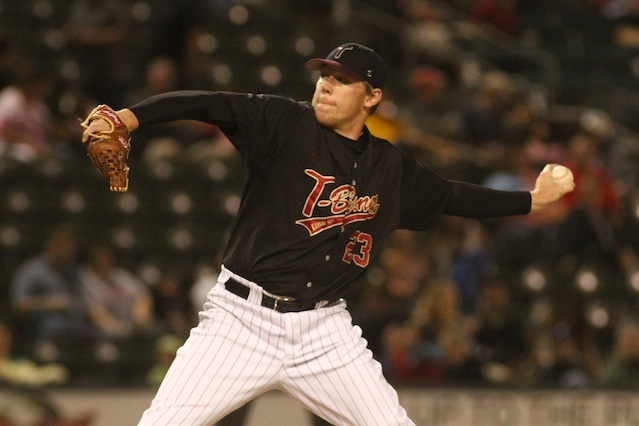 The Kansas City T-Bones have announced the re-signing of their 2012 Rookie of the Year, pitcher Lucas Irvine. 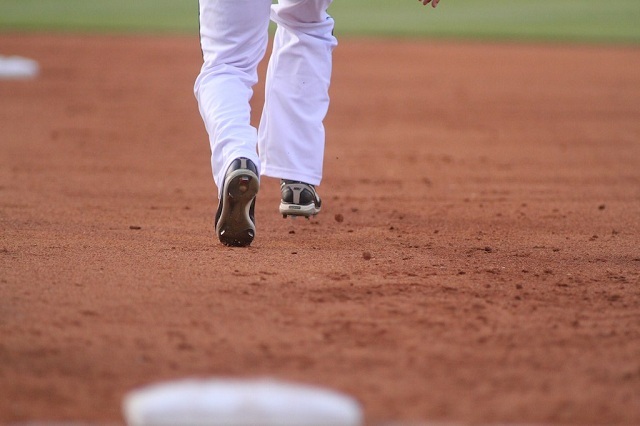 Do you think you have what it takes to be a professional baseball player? 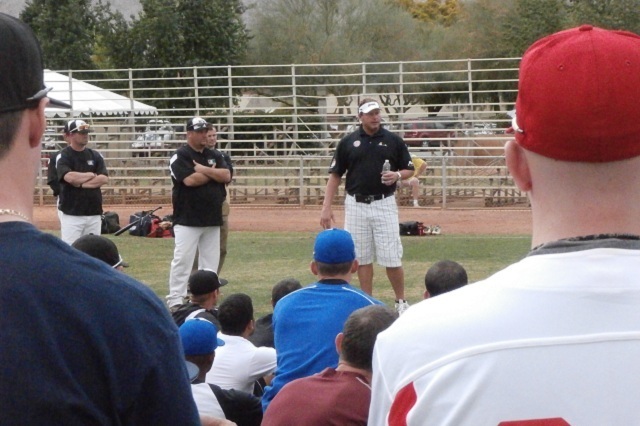 The T-Bones have announced the date of their open tryout. 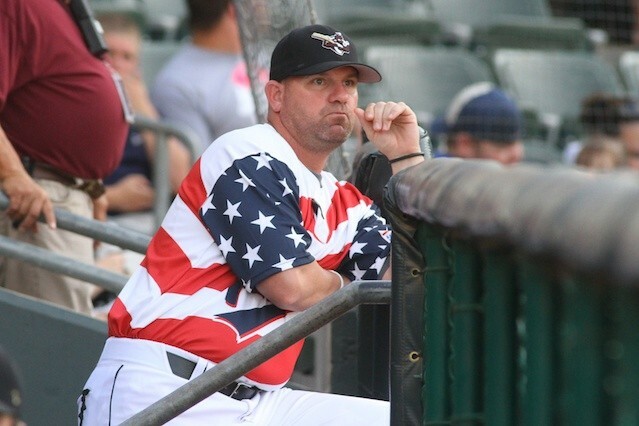 After a successful first season as manager of the T-Bones, Kenny Hook has been invited to work in the California Winter League. 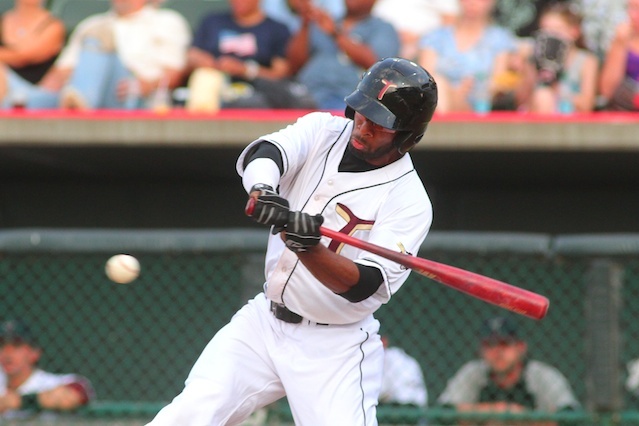 The Kansas City T-Bones have announced that they’ve re-signed infielder Devin Goodwin. The Kansas City T-Bones have announced the re-signing of pitcher Devin Anderson and the signing of rookie pitcher Brian Murphy. 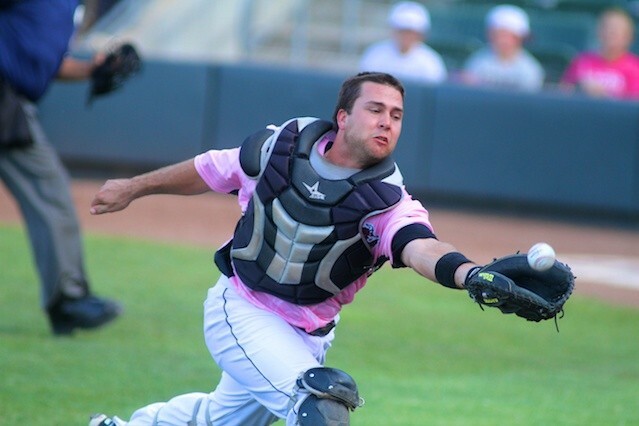 After a great 2012 season with the T-Bones, Brian Grening is having continued success in winter ball, as he discusses in this email interview with Matt Fulks. Growing up in Kansas City in the 1970s and '80s, Chris Browne wanted to play for the Royals. Or at least broadcast. Until he saw another job he liked better. 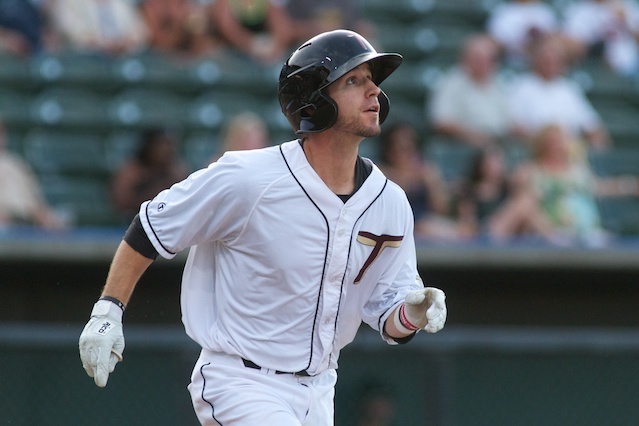 One of the biggest offensive surprises for the T-Bones in 2012 was infielder Devin Goodwin, who hit 18 home runs, including two against Amarillo in a late-August contest. As we head into 2013, here at tbonesbaseball.com we thought it would be fun to get New Year’s wishes from players and front-office personnel. Former T-Bones pitcher Shaun Garceau and the Long Island Ducks are preparing to begin Atlantic League championship series. T-Bones/Winnipeg game delayed til 3 p.m.
Today's series finale between the T-Bones and the Winnipeg Goldeyes has been delayed until 3 p.m.